Moorhen (Gallinula chloropus). Taken at Standlake, Oxon., on April 18th 2017. Taken at Standlake, Oxon., on April 18th 2017. Moorhen (Gallinula chloropus). Juvenile. Taken at Abingdon, Oxon., on June 3rd 2017. Juvenile. Taken at Abingdon, Oxon., on June 3rd 2017. 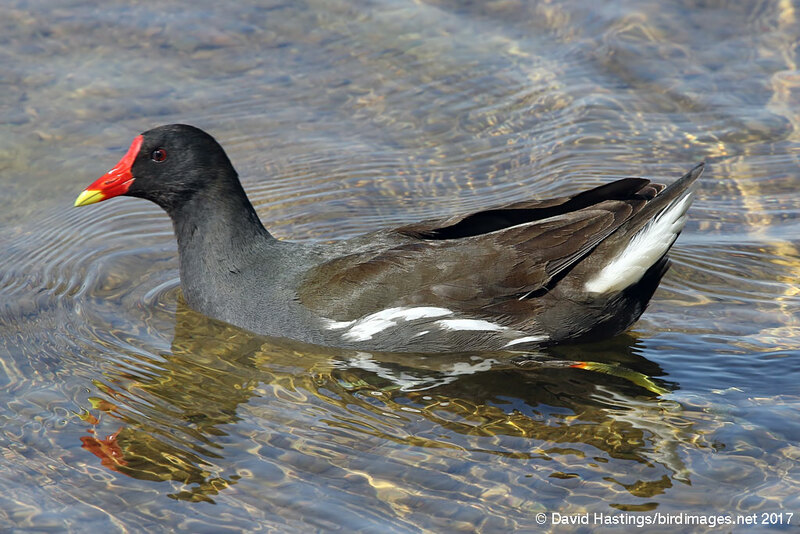 Moorhens have a dark brown back and wings and a bluish-black belly, with white stripes on the flanks, and long, greenish-yellow legs. They are found in most of the British Isles, except for north-west Scotland. They are common on small lakes, ponds, pools and rivers with dense vegetation cover. 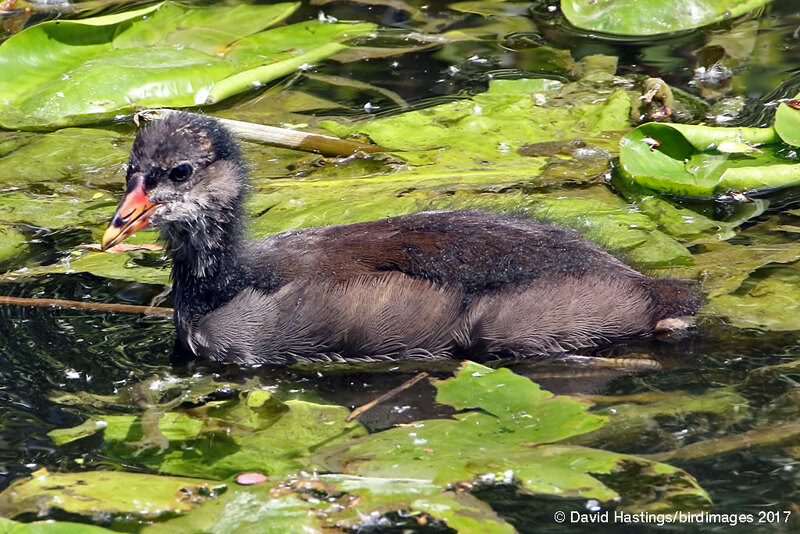 The Moorhen is usually a secretive bird, but in some places they are quite bold and will feed in the open. There are around 270000 breeding pairs in Britain. It has green status on the British list.